Sometimes our highest revelation is born out of the depths of despair. 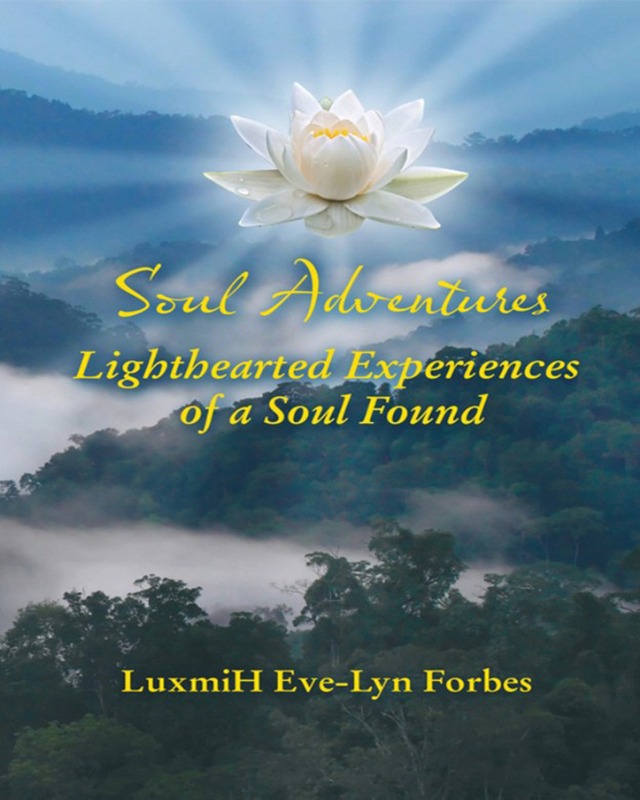 Soul Adventures: Lighthearted Experiences of a Soul Found is an extraordinary, deeply personal record of exciting spiritual discoveries. This fast-paced, spirited, multi-cultural autobiography tells of one person’s journey from Africa to America, and her soul’s transformation from darkness to light. A guru enters the life of a person at an opportune moment to liberate the soul from delusions. The guru begins as healer, ensuring there is no further moral deterioration, and then brings about subtle but certain change to help the soul reclaim its divinity. In 1993, Eve-Lyn Forbes, a skeptical television host, interviewed an avatar from India on WBE-TV in Augusta, Georgia. Knowing nothing about gurus, she’d not planned to see the mystic again once the show aired. Little did she know, with that interview she was embarking on a heart-expanding, globetrotting Soul Adventure.